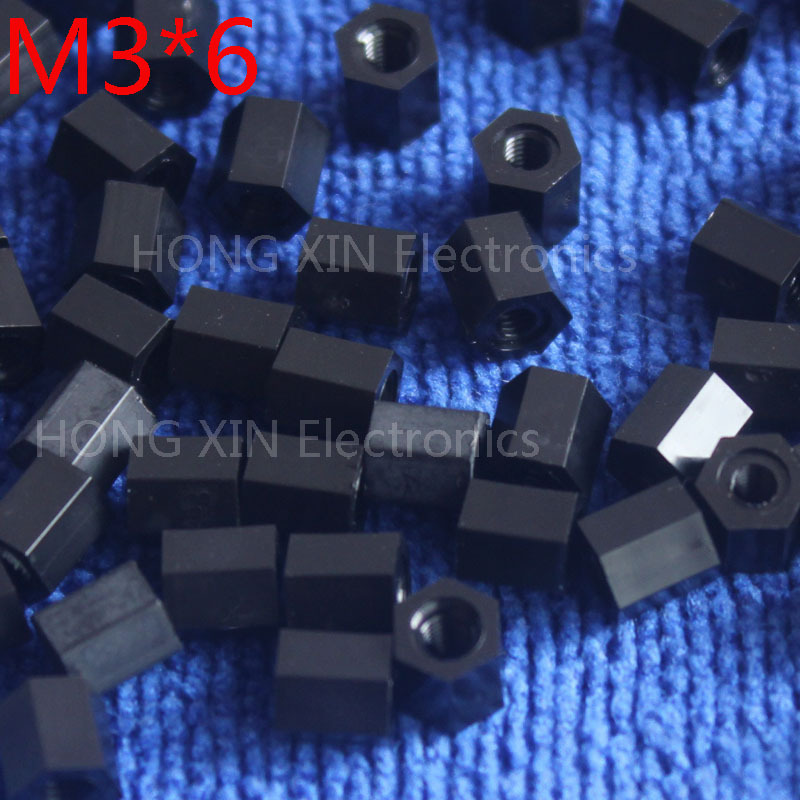 Item description:	Material: Nylon	Color: Black	Quantity: 1pcs	Size:M3*6(Please refer to the picture) Package included:	1 x M3*6 Black Hex Female-Female Standoff Spacer Note: Since Russia post new policy about full name , pls every buyer offer your full name before you pay in your billing address . Thanks for your great cooperation ! Payment Method	We only accept Escrow,Credit card,Western Union. Please pay within 7 days of order. Shipping Terms	Standard Service is China post airmail or Hong Kong post airmail. Expedited Service is China post EMS. Please send us an email BEFORE your payment if you wish to change shipping address	The shipping time during Holiday Season (Christmas, Chinese New Year etc) could be longer than usual time. Please add another 5-10 days as a delay. Returns Term	In case you received a defective item, the customer has up to 7 days from date of receipt to request for refund or exchange for a new one. In case you received a wrong item, Items must be returned in its original and unused condition & must also be in its original box and packing. We do not allow refunds or exchanges because of change of mind. Please read all description provided as a guide before you bid. While every step has been taken to ensure that we ship out correct item, there will be occasion when you receive items that are different from the description. In such case, we ask that you contact us immediately so we may remedy the situation.